I have not been able to keep up with Cuboiart, Brunei's finest cartoonist. Over the last week, I think I remembered glancing through Borneo Bulletin and finding his cartoons but I have not had time to appreciate them. The one he did for the zakat queue was hillarious but he focused more on the floods. Understandable. This cartoon was last week's and I remembered he had another one recently. On to serious business. Last night I received a couple of sms from PWD informing me about the latest situation here in Brunei especially on the flooding. I gather that the Gadong area is again affected last night plus nearby my area in Sengkurong especially around Tanjung Bunut, Sungai Tampoi and Selayun. I know our people are out there helping to ensure that we do not have a repeat of last week. The bomba people are working flat out and I pray that everyone is safe. Yesterday was World Customs Day. I was watching my PMO colleague launched the World Customs Day on television last night. This event surprisingly will hold a special place in my memories. Exactly a year ago, I was appointed to my current post and the first thing I had to do was inspect the Customs Officers parade and launched the 2008 Customs Day. What is Customs Day? It is the day when Customs organisations worldwide celebrate International Customs Day each year on 26 January. This marks the day of the first official meeting of the Customs Co-operation Council, now known as the World Customs Organization, which has 169 member states. Our own Brunei Royal Customs and Excise Department became the 140th member of WCO in 1996 and has been celebrating the event since 2001. I was passing by Kampong Ayer the other day and I remembered when I was a small boy, there used to be ships passing by the Kampong Ayer houses. That was when the Bandar Wharf is being used as the main port for Brunei. But in those days what looked like big ships were actually relatively small ships. Bigger ships could not make it into the Brunei river, dropping anchor at Sapo Point and having tugboats bring their cargo in. When HMS Britannia bringing Queen Elizabeth and Prince Phillip, the ship dropped anchor at Dato Gandhi because that was about the deepest part of the river that the ship can go into. You can still see the place and many who do not know the history would be wondering why there is a nice roof covered wharf by the riverside at Kampong Dato Gandhi. 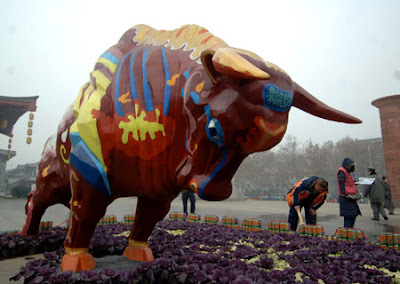 The Chinese New Year is now popularly known as the Spring Festival because it starts from the Beginning of Spring. Its origin is too old to be traced. Several explanations are hanging around. All agree, however, that the word Nian, which in modern Chinese solely means "year", was originally the name of a monster beast that started to prey on people the night before the beginning of a new year. Last year I wrote about how the fire crackers etc drove the beast away. This year I read another version. 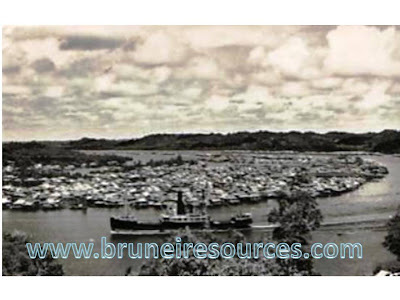 Prior to the discovery of oil in 1929, there were quite a few oil companies working in Brunei. One of them is the Anglo Saxon Petroleum Company. This is a 1910 photograph of one of the company's operations. In those days, trains seemed to be quite well used in Brunei. It was easier to lay down rather than try to construct roads. This one shows the train tracks leading to one of the rigs owned by the company. One of my hobbies is obviously, from this photograph, collection of currency notes. This particular note however does not belong to me. How I wish it was. This note is currently on auction on ebay and have about a day left by the time I am writing this. The current auction price is around US$1,058 which I dare say will exceed more than US$3,000 when it closes sometime tomorrow morning. With all the flood, landslides, who is at fault? Some would say it is Nature's will or God's will. Probably but also coupled with our inability to be able to anticipate the future. The tunnel's flood was because there was no power to pump the water out but at the same time, the water entered through from the water tunnel that was supposed to take the water out. Even had the pumps had worked, it wouldn't be able to pump the water out straight away as the pipes were underwater as well as the nearby river had overflown its banks. This is the third time that the tunnel had flooded, each time forcing a redesign of the pipes taking the water out. It seemed that the river level is going higher and higher every year. What the engineers used to call a one in fifty event is happening almost every year. We put it down to many things. 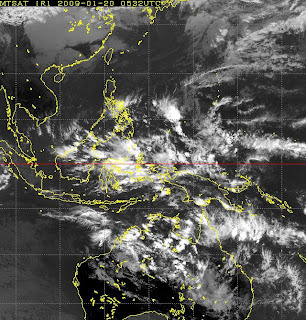 This year's heavy rains is said to be due to the La Nina effect. So many things have been happening over the last few days. The queues thronging the Ministry of Religious Affairs for a slice of the Zakat funds, the heavy rains, the landslides, the flood and yesterday the unfortunate deaths of two of our countrymen due to both landslides and flood. As of last night, I saw parts of the Gadong area still in darkness and even the tunnel was still in the process of being cleaned. There have been fresh landslides even after the rains have stopped. I gather Gadong 1 at the Gadong Power Station was still down. It was submerged when Gadong River burst its banks. Sometime last night, someone opened up this blogsite thus marking the 500,000th time that this site was accessed. Previously I would have marked that as a special occasion. In today's time half a million visitors do not seem like much. But I would like to thank all readers for coming back and reading my blog. By the way my computer was knocked out last night. There was a thunderstorm immediately above our area - you can tell how far the storm is by timing the lightning and thunder. Last night both occured together. The power to the house was tripped and when I tried switching on my desktop computer, the hard disk refused to spin. I am now relying on my laptop and for once I am thankful I signed up for OMNI with TelBru (OMNI is the expanded espeed - espeed modem combined with a mobile modem). Yesterday, when Brunei Times published my article on the early history of Bandar Seri Begawan's streets, I was a bit disappointed. One, they did not publish the photographs below. The resoultion was not too fine, I suspect or they decided to publish the more modern photos. Two, the captions were not accurate. I should have written my own captions for those photographs. 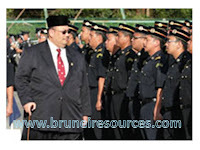 Anyway, I just wanted to publish these photographs in addition to the photographs which appear on Brunei Times yesterday. 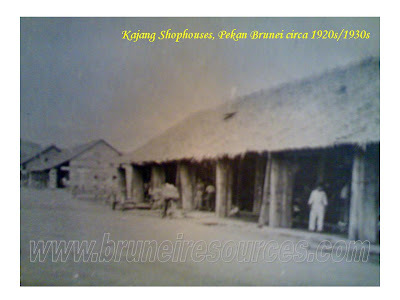 These are the Kajang shophouses in Brunei Town. Some say 1930s, I would say much earlier than that. I have another 1930 photo and the shops look much better than these. 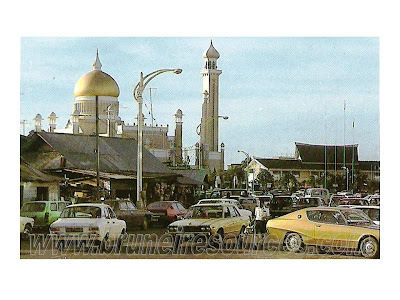 Up to 1906, there were still factions within Brunei that wanted Brunei to be absorbed into Rajah Brooke's Sarawak. It was an open secret that Rajah Brooke really wanted to absorb Brunei and there have been many phrases quoted of his desire. 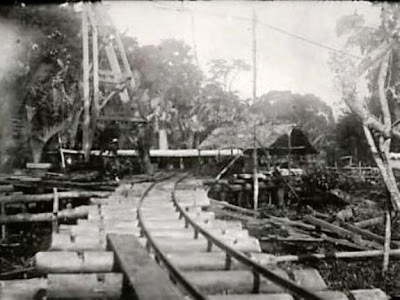 In fact, Rajah Brooke ran more or less Muara (then called Brooketon) and ran the coal mine operation there at a loss, he also manage to acquire the entire Kota Batu area. 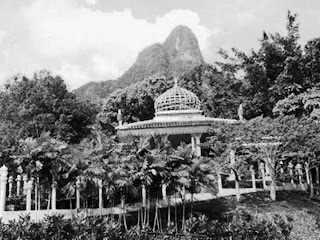 It was in the 1920s or 1930s when he died that Kota Batu was reacquired for Brunei. Congratulations to the Football Federation of Brunei Darussalam which is set up to replace BAFA. My colleague, Dato Hamid Jaafar, the PS at MIPR is the newly elected President of FFBD. Vice President is Salleh Bostaman and Secretary General is Sheikh Noordin. I know Dato Hamid was a national football player and I recognised a few other names such as Hj Murni, PS PMO and Rosanan were also ex national football players. There may be others which I don't recognise and could be football players as well. I hope that FFBD will be able to take off where BAFA has failed. Dato Hamid was a brilliant footballer in his younger days. I remembered that in Singapore in late 1970s, the Singapore national coach wanted him to play for the Singapore schoolboys team and would have made it to the Singapore national team if he was a Singaporean. But he did play for the Brunei national team and the few times I saw him, he was a brilliant left winger. Up to the end of last year, the Brunei Civil Service was the odd one out. 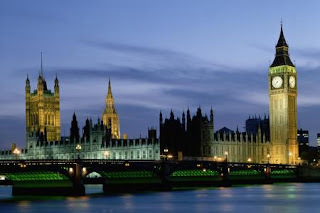 Many many years ago when the British ran the civil service, it was a male oriented service. Ladies were expected to work for a short time and expected to leave after they get married. Brunei was not the only one. Malaysia and Singapore also had such rules. But they have changed the rules a lot earlier. So in Brunei, when any lady officer or staff gets married, they are forced to retire - they are no longer in the permanent establlishment list and they are rehired on a month to month basis, technically meaning that they can be made to retire anytime even though in practise no one was made to retire. 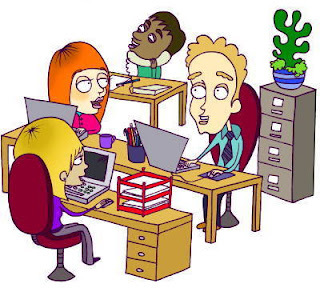 Though month-to-month staff are required to be reappointed every 3 years and if a department fails to submit the paperwork on time, it can cause great anxiety to the person concerned. If you have been a regular reader of this blogsite, you would notice that one of the more authoritative text I used a lot is the MacArthur Report of 1904. MacArthur who became Brunei's first British Resident in 1906 was in Malaya when he was asked by the British Government to come and report on Brunei in 1904. It was his report which lays out to the British Government that despite the massive loss of Brunei's territory and the intense pressure from Brooke to be allowed to absorb Brunei into Sarawak, Brunei is still an independent nation and would like to remain independent but needed a lot of help. 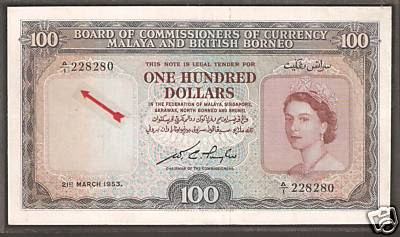 As a result, the 1906 Supplementary Agreement to the 1888 Protectorate Agreement was signed and a British Resident was placed in Brunei in 1906. When Sultan Tengah, the first Sultan of Sarawak and the younger brother of Sultan Abdul Jalilul Akbar of Brunei Darussalam the 10th Sultan of Brunei, was in Sukadana, he married one of the Sukadana princesses, Puteri Surya Kesuma. 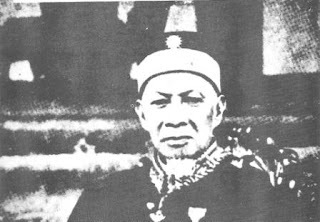 Puteri Surya Kesuma's brother was Sultan Muhammad Safiuddin, the Sultan of Sukadana. (1) Bro, the son of Sultan Abdul Majid Hassan is actually called Hsia-wang which means "Raja Kecil". His sister, Puteri Ratna Dewi, was married to Hwang Sinpeng (Awang Sinpeng or Ong Sum Ping)who was later bestowed with the title Pengiran Maharaja Lela. Again, the word Pengiran, I heard from somewhere is a chinese word (Peng-i-ren) meaning a royal family member. Wallahu'alam. (2) But I didn't hear any Chinese word call Peng I Ren. Are you sure the correct pronounciation? However it took a cholera and a small pox epidemic in 1902 and 1904 with many people dying before Bruneians then would consider moving themselves away from their traditional way of life over the water. However the move was sporadic and it was not until after the Second World War that the move was organised. One of the more interesting aspects of my current job is that every single land transaction in this country cross my table and boy do I have interesting tales to tell but I won't - OSA. What I found interesting is that over the last 12 months I noticed that is that there is a tendency for certain groups to own land and not others. 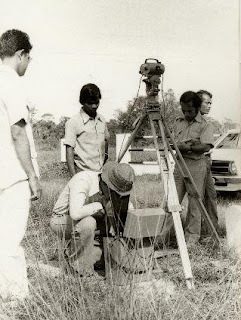 For instance, people from Tutong tended to own land and interestingly enough tended to give them or pass them down rather than sell those lands. There is not much loyalty for those in the Brunei Muara District. In Temburong, land holdings tended to be huge tracts - more than a few acres and sold or transferred in huge tracts as well. I was searching through my book collections for a special book which belongs to a good friend of mine. The book was about the titles used in Brunei. I did a short series of this a few months ago but my sources were from a book written in jawi. I made a couple of reading errors and my friend lend me the book written in romanised Malay to correct those errors. Anyway, I could not find that book among my many books but I am pretty sure it is among them somewhere. We have so much talent here in our small country. 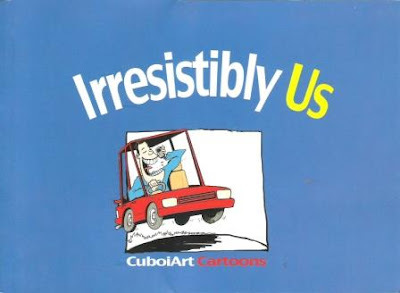 Cuboiart is a case in point. However we have not achieved much in the area of music. Our P2F was a success and I do hope we can build on that. However seeing the limited success of AF graduates, I still fear for our P2F graduates. Anyway, Pelangi FM has always been at the forefront of trying to showcase local talent. 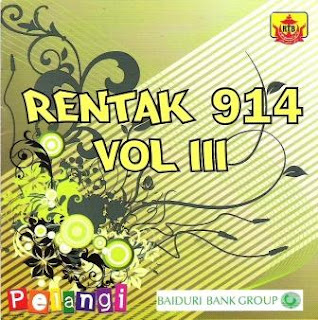 This latest CD Rentak 914 is a third compilation of songs from our local singers. This was launched sometime last month and it was only recently that I managed to get it from RTB. In this latest CD, there are 18 songs from Avantgarde, Faiz, Putri Norizah, Fakhrul Rais, Microbandits, Maria, Hatta, A Band Once, Bombay, Azeem, The Seeds, Fairuzneezan, Adi Rani, Hikari B, Juju, Shukriez, Putri Norizah with Anwar and De Epitome. These are Brunei's latest talents and their songs which were hits on Radio Brunei. If you ever ever want to know what Brunei youths sound like today, this is the easiest way of getting that. 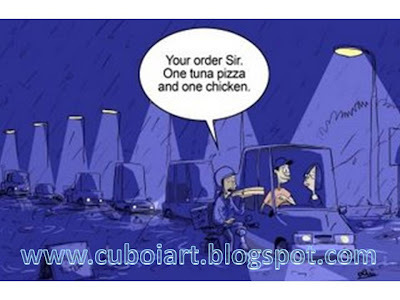 Cuboiart capture this scene succintly. This is a scene from today and for the next few days in schools. Today is the first day of school and you know what that means. Everyone arriving at the office at 8+ because of massive traffic jams and sending their children to school. 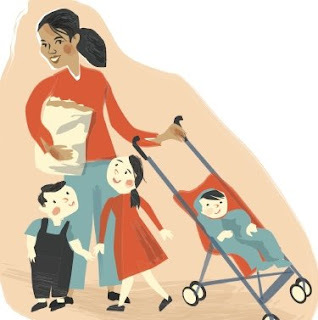 Those for the first time, the parents have to wait until the children settled down. I remembered at my son's school when he was still in nursery, there was this father who stayed in class for two whole weeks from 8 until the school ends at 12! I remembered my school days too. It took a while before I let go off my mother. At that time Darjah 1 was at Sekolah Melayu Bukit Bendera in Tutong (the school does not exist anymore). The sekolah was literally on a hill and my mother would run down the hill the moment that she saw me being comfortable. She was very fit in those days and I was still a cry baby. Do you remember what your first school day was like? About 30 years ago, I was a student staying in a Brunei Government hostel in Singapore. One day we read that the famous Lat was going to come to Singapore to launch his new book at the Kinokuniya Bookshop, then at Plaza Singapura. Lat was famous for his books and his cartoons depicting happenings in Malaysia was hillarious. He even did a special series about his visit to Brunei which I posted in March 2007. When we went to the bookshop, it was crowded. There were a lot of Lat fans. We bought our books and we asked him to sign them. It was a thrill meeting him in real life. I was asked by a BT reporter for a short quote on Brunei's independence which many of us have forgotten was actually on 1st of January. Since the National Day has been celebrated on 23rd February, many of us forget that on the eve of 1st January 1984, or rather at midnight of 31st December 1983, Brunei decared its full independence. And that was 25 years ago. Do you remember where you were 25 years ago? I rememberd mine. I spent it in the cold winter on a hill somewhere in Staffordshire in England in a temporary accomodation with all my stuff in boxes. In those days, shops closed the entire winter/new year weekend before opening on 2nd January. There was no internet and no mobile phones yet. I didn't even know how the independence was celebrated until I saw photographs of the event years later. Even then, just as now, not everyone celebrated the same New Year. Celebrating the New Year has always depended on which religion or culture one belongs to.